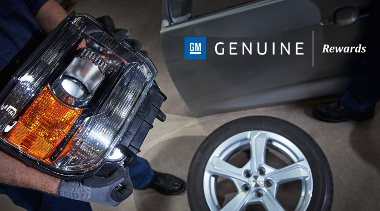 Earn rewards when you choose collision and powertrain parts from Genuine GM Parts. RepairLink is the most comprehensive OEM mechanical parts business to business ecommerce solution available today. RepairLink makes it easier and faster for shops to locate the correct parts for their repair jobs. You can see pricing and inventory for their dealer partners and submit orders directly through RepairLink. CollisionLink is the automotive market's only all-makes solution enabling collision shops to order original equipment parts online. Used by thousands of collision shops and wholesale parts dealers, it gives you the ability to effectively convert non-OE parts to incremental OE parts sales using discounted OEM program pricing and incentives. Ford Motorcraft Professional Service Network is a tool for independent repair facilities to view current offers and incentives from ford plus you can earn additional rewards for increasing your Ford and Motorcraft parts purchases. You will also get access to tech tools. The Billion Automotive parts team has over 40 trained experts supporting brands including: Chevrolet, Buick, GMC, Oldsmobile, Saturn, Hummer, Pontiac, Cadillac, Chrysler, Ram, Dodge, Jeep, SRT, Fiat, Alfa Romeo, Honda, Kia, Hyundai, Mazda, Nissan, Toyota, Scion, Ford, and Lincoln all working to get you the parts you need quickly and at a competitive price. Family owned since 1935, Billion Automotive has 23 dealerships in 3 states. This allows Billion Auto Parts to be one of the Midwest's largest OEM parts suppliers. combined with trucks running 24 hours a day we offer next day delivery on all of our brands to most areas. Billion Auto Parts gives you a faster, easier way to get your OEM parts.